This giveaway is open to U.S. and CAN residents who are 18 years of age or older. Giveaway runs through Nov. 15th 2017. 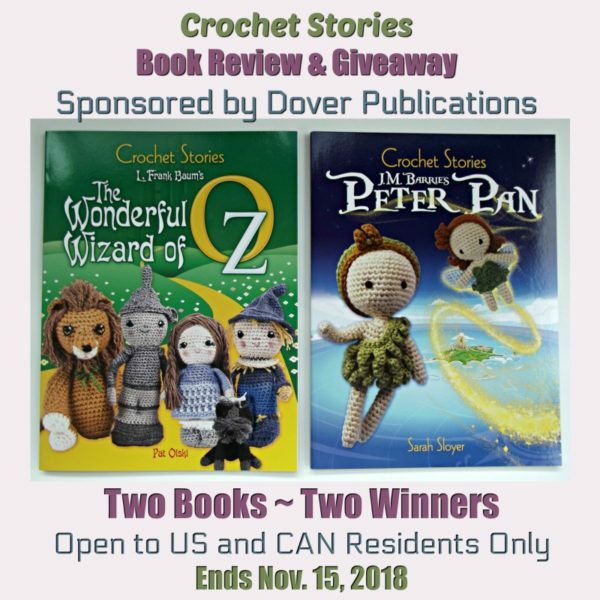 Two winners will each receive a free copy of both books. As you can see from the cover, this book contains all the main characters within the story. But as you begin to read the story and flip through the pattern pages, you’ll find patterns for all the characters as they appear in the story. 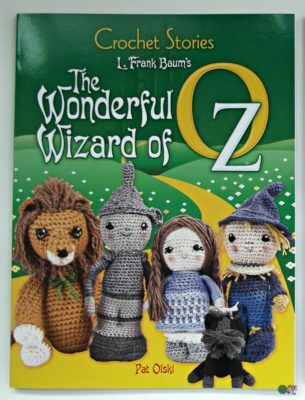 In addition to all the characters, you’ll also find patterns for The Yellow Brick Road, a Poppy, Emerald City Spectacles and a few more accessories to complete this magical story. It’s a wonderful play-set that you’ll enjoy to make for your son or daughter. Patterns in this book are labeled as easy and intermediate. 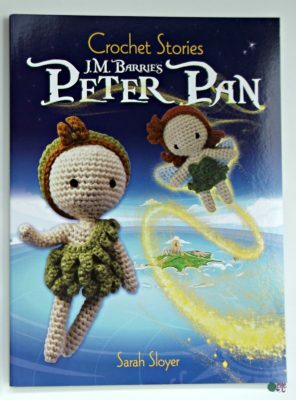 Again, you have all the patterns for the characters and accessories as they appear in the magical story of Peter Pan. You will find three patterns for the body bases, which are used for several characters throughout the book. Thus, you can do some pattern repeats when you start a new character to make it a bit easier. Patterns inside this book are labeled as easy, intermediate and advanced. The toys in both books are wonderful on their own, but with a beautiful storybook, they will be even more special for your little ones. And with Christmas just around the corner, why not make a few, or the entire play-set, for your children to enjoy for many years to come. Or, enter below for your chance to win a free set of the books. 2 Winners will receive a copy of each book. Entrants must be 18 years of age, and be a resident in the U.S. or Canada. Giveaway runs through Nov. 15th, 2017. This would be awsome to win. My wedding was Wizard of Oz themed. I have grandchildren that would love these. I would really have fun making these up for the grandkids and great nephews. My granddaughter loves the Wizard of Oz. Has been in plays at school twice. We have the movie and the book. Would love to make the dolls for her. I love patterns like these…awesome to take classic movies and turn into crochet! I know my grandkids would love these toys! would enjoy making theses for kids of all ages and adults as well. 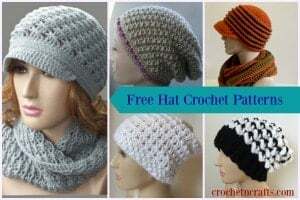 Crocheting relaxes me and I enjoy giving the projects away.